Welcome to our Shedd mls search portal. Start searching exactly the type of property you want. We will then send you updates via email. On new listings that match what you are looking for and when price reductions happen. 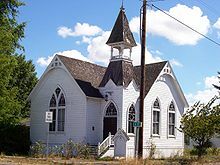 Shedd is currently a unincorporated community in Linn County. It was established back in 1899. It is mainly known for the formor site of the Boston Mills, on the Calapooia River. If you didn't know the Boston Flour Mill is Oregon oldest continuously operating water powered mill and is still part of the Thompson's Mills State Heritage Site. As well as one of the original four left-standing gristmills in Oregon. Here you will find homes for sale in Shedd OR. But to get the best deal, you need to sign up for Free Daily Email Updates. This will allow us to serve you best. Our team has sold countless homes in this area, and we are prepared to find you any home of your choice. Whether it be a big custom home with acreage or a starter home to get you going.